Mumbai: Drug-maker Sun Pharmaceutical Industries gained over 3% on the bourses on Monday after the company reported 19% growth in net profit to Rs598 crore for the quarter ended 30 September. The drugmaker’s scrip was also the top gainer among the Sensex-30 blue-chips in morning trade. Sun Pharmaceutical Industries has reported 19% growth in net profit to Rs598 crore for the quarter ended 30 September on account of robust performance across its businesses. In the corresponding year-ago period, the company had posted a net profit of Rs503.65 crore. 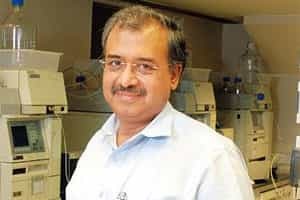 On a standalone basis, Sun Pharma’s net profit increased to Rs437.55 crore in the second quarter ended 30 September from Rs345.72 crore in the year-ago period.